dok khun, originally uploaded by c_p_lew. View of a Dok Khun tree near our office. It seems that the yellow gets brighter as the air gets hotter. 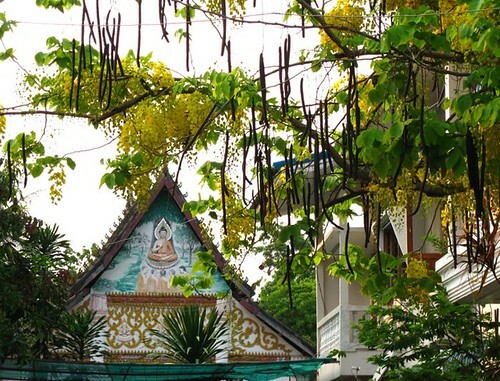 After Lao New Year, the flowers on the trees increase because people aren't having so many baci ceremonies and picking the flowers for the water blessings.